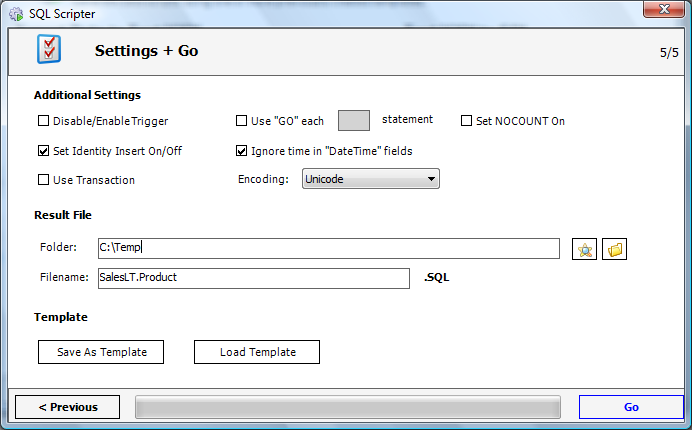 to generate data scripts in a readable and executable T-SQL format. 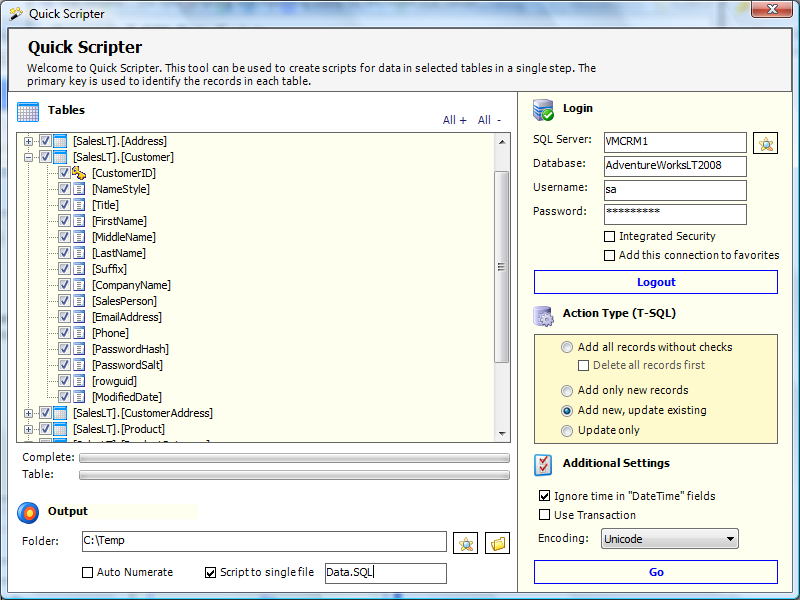 The source for your scripts could be a table, a view or your own SQL. The data can be scripted in several ways. 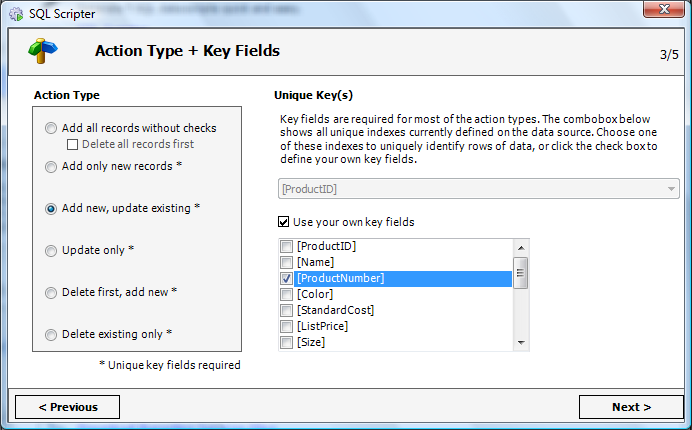 Choose your own key fields, or just select from one of the indexes on the tables. 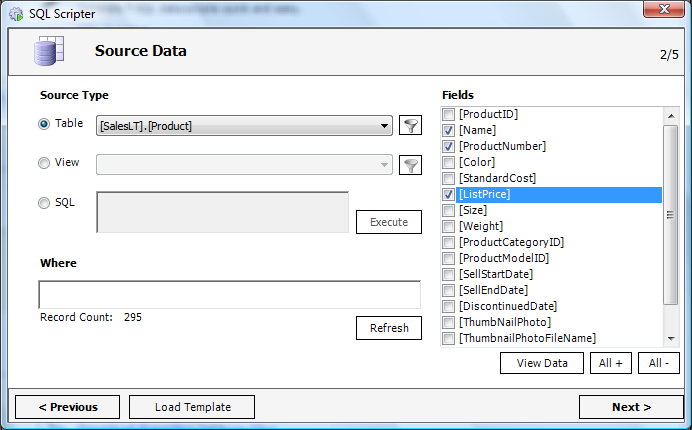 Specify additional options, save your settings as template. Result Example: Insert new records, update existing records. Result Example: Generate Insert Scripts without any checks. Result Example: Insert only new records. Result Example: Binary fields (exp. : image data type). Use Quick Scripter to generate scripts for all tables in a single step.